Historical Allsorts Font Features: Texture | Hoefler & Co. The Historical Allsorts collection records, rather than interprets, specific historical artifacts. A historical revival typically begins with identifying which aspects of an artifact are thought to be intentional, and which ones are not. From these decisions, a good designer can begin to articulate how these observations relate thematically, and develop a brief for how the revival will unfold. But it’s forever tempting to reduce every imperfection to some geometric ideal, and equally tempting to ascribe some great purpose to what might be an accident of the tool. At left is a lowercase e printed before 1693, originally appearing at about fourteen point, which served as the model for our Fell Type Roman font. Presumably the bumps on its northwest surface are accidental, some artifact of ink and paper, or punch and graver, or simply a sign of its age, but what was the typefounder’s intention for the crossbar? Should it taper gently, as was common among French models of the previous decades, or be completely rigid, in keeping with the developing baroque style of the following years? Either choice could contribute to the strength of a valid historical revival, but any decision would move the revival one step further away from authenticity. Instead of a conventional interpretation of a historical design, the Historical Allsorts was an experiment to see if a revival could instead rely upon a digital recording of an artifact. The hope was to limit our involvement to production tasks that are arguably less subjective, from choosing the exposure of the scans to spacing and kerning each machine-generated character drawing. While this liberated the design from our ideas and biases, it also produced drawings that lacked our editorial instincts. 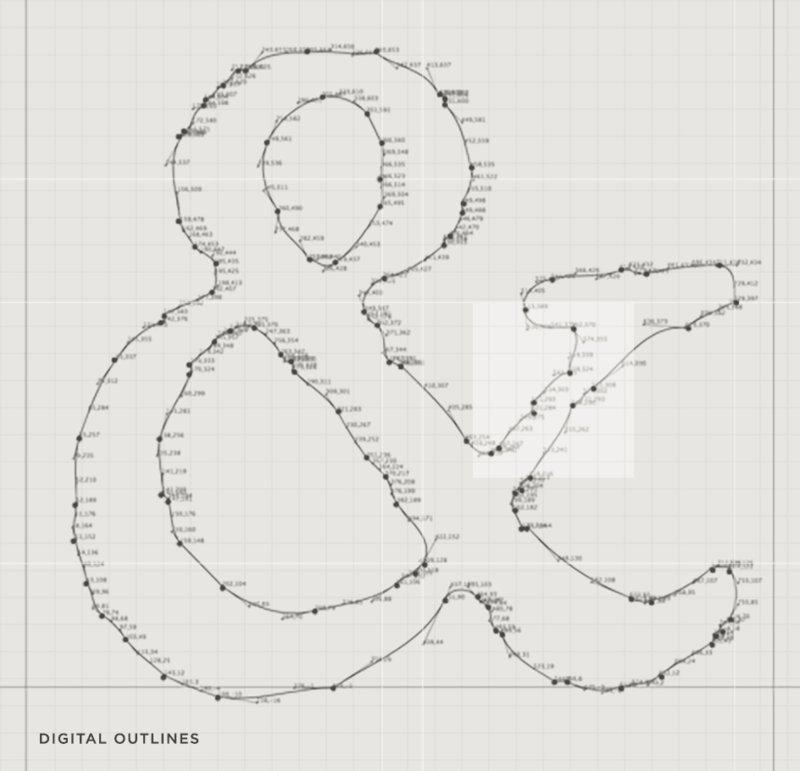 Above is the result of the process, showing the computer’s uninformed guesswork about the shape of the alphabet. Although each character was constructed from unexpected geometry, taken all together these eccentricities produced a collection of fonts that feels remarkably handmade. At text sizes, they present an agreeable texture that’s indistinguishable from that of their ancient counterparts, and at larger sizes they offer a warmth that’s difficult to achieve by hand. Having refined the process with the roman and italic Fell Types, we turned our attention to two other beloved typefaces that would otherwise have been daunting conventional revivals: Robert Granjon’s brilliant Civilité of 1562, and a Dutch textura of 1492 that remains one of the world’s oldest surviving printing types. Both are pretty irresistible.